As a parent, it seems like your to-do list never ends! Rather than feeling stressed and frazzled most if not all of the time, put the following parenting hacks into practice and make life a wee bit easier. 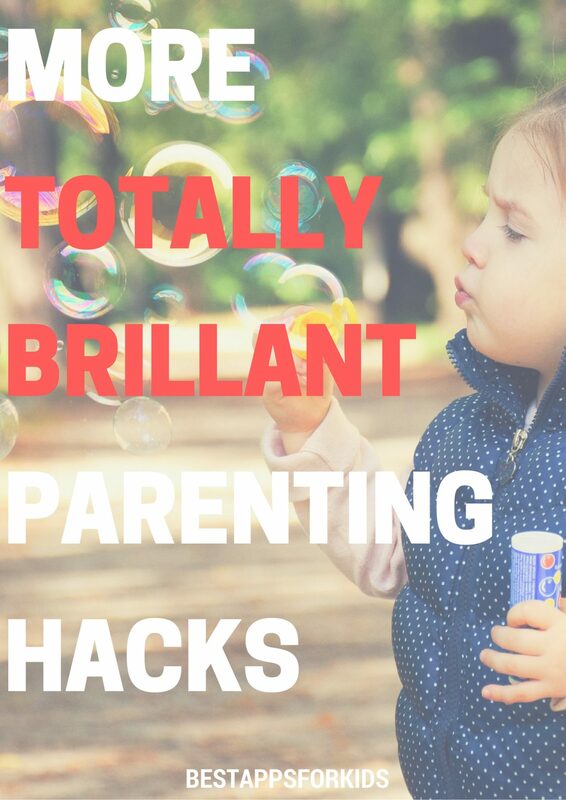 We love discussing parenting hacks around here, because who doesn’t like a little help every now and then? Keep your little ‘un from getting locked in the bathroom by wrapping a rubber band around both door knobs. Problem (and moments of panic) solved! Jumping on a trampoline never gets old (ever), however the metal springs keeping the thing together pose dangers to inexperienced jumpers or those who simply jump the wrong way at the wrong time. Prevent horrific trampoline injuries by wrapping sections of pool noodles around the springs to keep small paws and claws protected. Inspire your tweens and teens to maintain tidy rooms by telling them you hid a special prize in said rooms. They have to clean the rooms to find their rooms to find their prizes, which can include certificates for days off from chores, movie tickets, more time on their phones or computers, and anything else you feel is worthy of a clean bedroom. Allow your baby or toddler to get creative by filling ziplock bags with assorted paints. Hang the bags on a clothes pin in a safe area and let the little shaver go to *artistic* town. All kinds of designs are possible without making a mess you’ll spend the next few hours cleaning. Further encourage kids to explore their creative sides by reusing pizza boxes as blank canvases. Make sure there isn’t any grease on these “canvases” and provide plenty of paints, crayons, colored pencils, and whatever embellishments you have lying about, such as glitter, beads, and buttons. Remove crayon from various services easily with WD-40. The stuff works as instant crayon remover. Get rid of “permanent” marker on wooden furniture using toothpaste. The paste works as a cleaner for a whole slew of items, including sterling silver polish. What are your most-favorite parenting hacks?